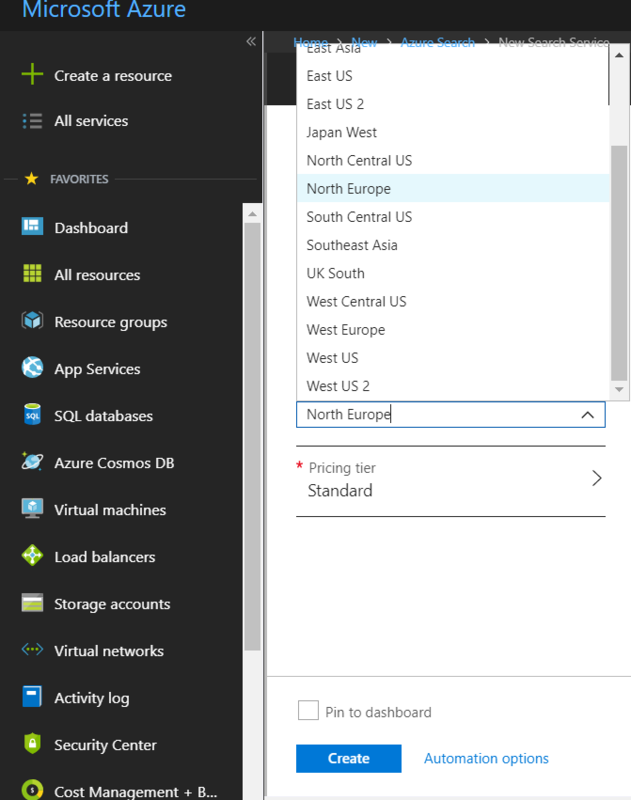 How does Azure Search support Geo-Replicated scenarios? "Sitecore supports a Search service with geo-replicated scenarios." It also mentions that you achieve this by adding multiple Azure Search instances in the connectionstring using a pipe separator. Clearly in Azure Portal you would set each search instance to be in the desired region during setup. Other than that does anyone know how region selection is supported under the hood? Azure Search has no built in replication at this time. The Sitecore Azure Search Provider can be pointed to multiple Azure Search instance at once and it will mirror all Create, Update, Delete, requests to those additional instances. Create two or more Search service instances. All details are int the link you provide. Not the answer you're looking for? Browse other questions tagged azure-search geo-location or ask your own question. Is it possible to get Azure Search to support EDM.GeographyPoint?